At AAPI Data, we seek to contribute to this conversation on federal data standards by illustrating the importance of AAPI data disaggregation. We do so in a series of blog posts this week focusing on particular outcomes, continuing with language access. 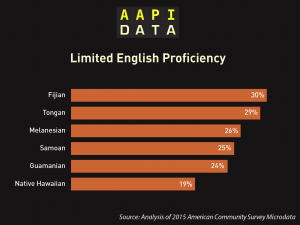 An important feature of Asian American and Pacific Islander, or AAPI, communities is their language diversity and variations in their levels of English proficiency across groups. English proficiency is important because it is significantly related to outcomes such as earnings, occupational mobility, quality of health care, and the ability to participate in civic and political life. 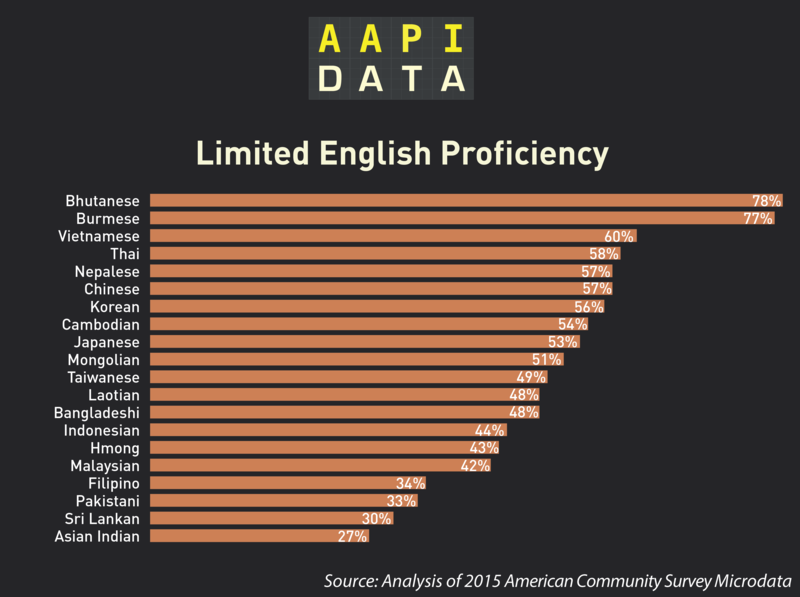 The census defines limited English Proficiency as those who do not speak a language other than English at home and speak English less than “very well.” Among Asian Americans, there is a wide range of variation with nearly 80% of Bhutanese limited English proficient compared to just 27% of Asian Indians. 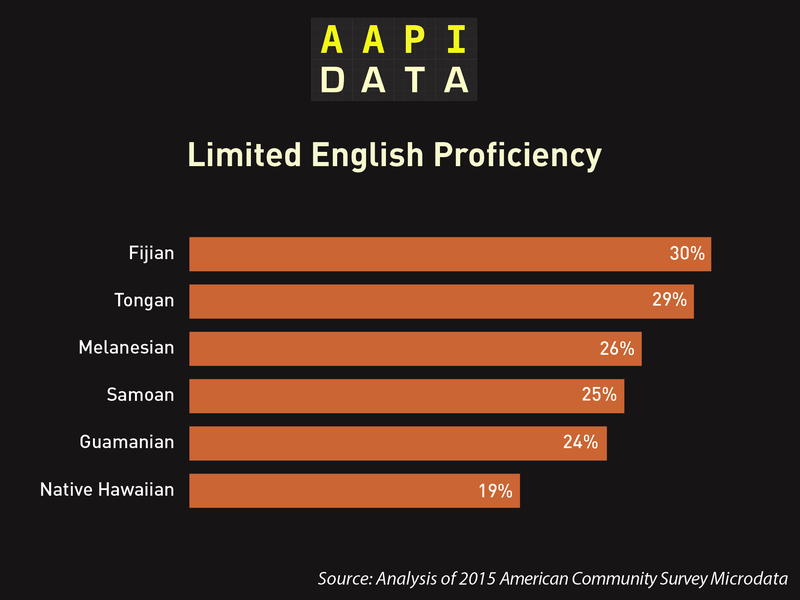 Among NHPIs also see considerable variation with Fijian and Tongan Americans much more likely to be limited English proficient than other NHPIs. 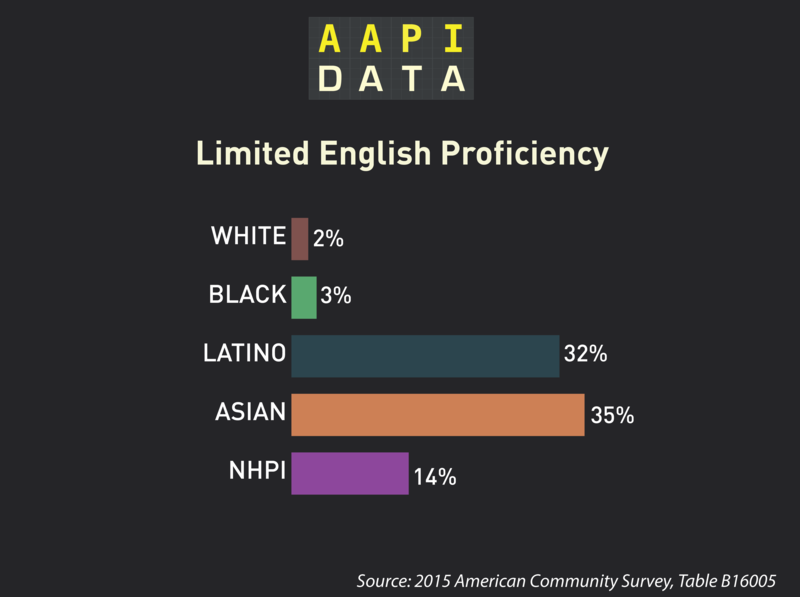 Given the sizable share of AAPI populations with limited English proficiency, language access at the ballot box is critical for civic participation and engagement. Section 203 of the Voting Rights Act requires that jurisdictions meeting the following requirements must provide language assistance during the voting process. According to a 2016 report issued by Advancing Justice AAJC, National Association of Latino Elected and Appointed Officials (NALEO), and the Native American Rights Fund (NARF), a total of 264 political subdivisions nationwide are now covered by Section 203 which represents a 15% increase from the 2011. Still, only 26 jurisdictions today are required to provide some kind of Asian language support, although this is an increase from 21 jurisdictions in 2011. One final note: the analyses above rely on microdata from the American Community Survey which is administered by the U.S. Census Bureau. We believe it is critical for the Census to continue collecting this data, expanding the number of detailed categories, and making the collection of detailed categories standard across federal datasets. Finally, and perhaps most importantly, this data needs to be more user-friendly and publicly accessible, rather than being hidden under a maze of FactFinder tables or requiring statistical software and knowledge to work with individual-level microsample data. 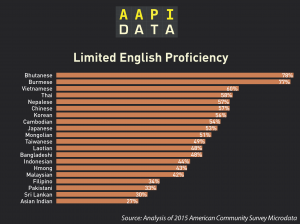 For those interested in learning about where language access if available for AAPIs please visit Advancing Justice AAJC’s Language Access page for a list of areas by language or read this updated policy report discussing the new determinations for 2016 in detail. For more research and data on this topic, please visit our Language Access page at AAPI Data. 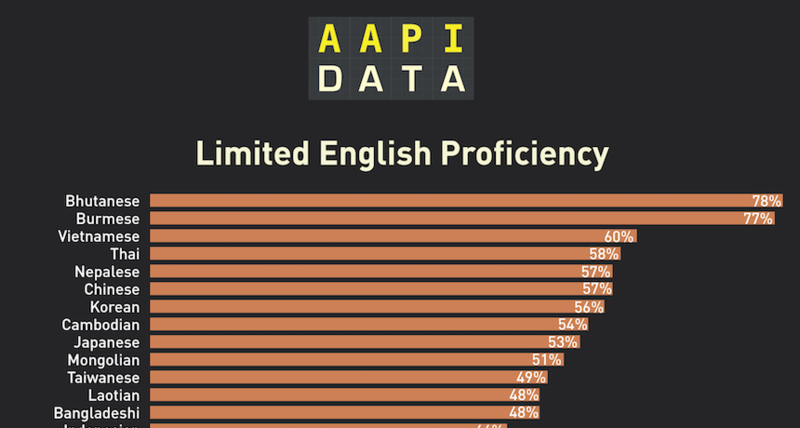 For a more detailed discussion of the Language Diversity and English Proficiency, please visit our report with Center for American Progress.